A comprehension die is a playful way to encourage discussion about a text. 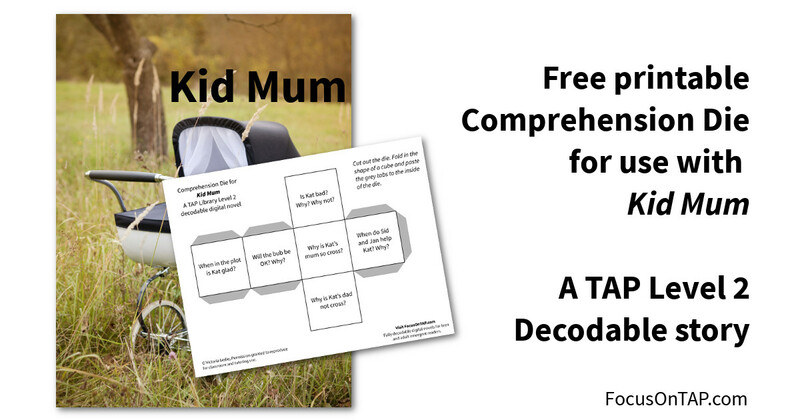 This free comprehension die can be used with a student who has read “Kid Mum” (or “Kid Mom” if you are using the app with US spelling activated). The text on the die is fully decodable at level 2 as well so can be part of a reading comprehension/speaking and listening activity in class. Ready to build a comprehension die? Click or tap the button to download the PDF file. ← How decodable is my text?